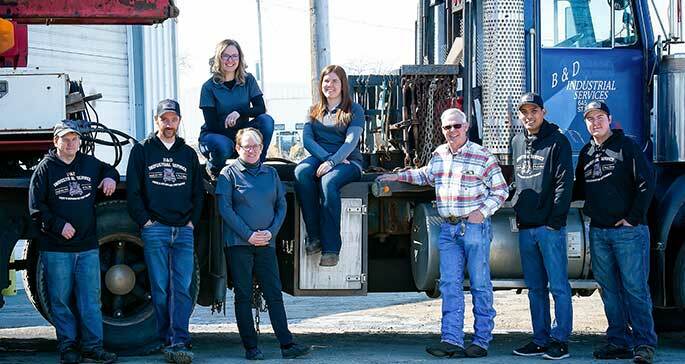 B & D Industrial Service is a big truck and heavy-duty equipment repair center serving St. Paul, AB since 1981. We also offer general auto repair and preventive maintenance services, specializing in electrical repair, suspension and steering, driveline, wheel ends, engine rebuilding and repair, diagnostics, and more. Our goal is to be the only vehicle service shop you want to go to in St. Paul—not only because of the comprehensive, quality service we provide, but also because we’re friendly and make taking care of your vehicle enjoyable. Come by for an oil change or inspection and stay for a great cup of coffee.